Despite the economy, it is still possible to find deals to even the most far-flung destinations. And thanks to new flight routes, the strong U.S. dollar, and unbelievable travel sales, six of these exotic locations have just become a lot more affordable. The following deals are listed without taxes and fees, unless otherwise noted. While the most affordable departure city has been listed, others are available at varying prices. These days you can explore the outback without denting your piggy bank. In fact, with several airlines offering flight sales, it’s just as cheap to fly to Australia as it is to Europe. Plus, the exchange rate is even better than the euro once you land. For instance, a pint of beer will cost $7 in the U.K., but only $3 in Australia. With the launch of Australia’s new international airline V Australia, flights between Los Angeles and Sydney, Melbourne, and Brisbane start at $530 round-trip through December 15; other airlines have started to offer competitive prices as well. [[Qantas | Qantas]] has two different ways to save. The airline offers flights starting at just $530 round-trip from Los Angeles to Sydney, Brisbane, or Melbourne for travel between August 2 and September 28 or between October 25 and December 6. You must book by April 21. If you’re planning on traipsing about the country, the AirPass may be more your speed. The pass starts at $999, and includes round-trip airfare from the U.S., plus three domestic flights in Australia. Prices are based on seasonality and travel zones. You must book by April 30. Both sales have already been extended, so keep an eye out to see if this trend continues. Not to be outdone, United has also offered an Australia sale, with flights starting at $778 round-trip traveling from Los Angeles or San Francisco to Sydney or Melbourne before September 21. No booking date has been released. Qantas Vacations also makes it easy to save once you land by offering one-week walkabouts in Sydney, Melbourne, or Brisbane starting at $699 for six-night’s lodging, airport transfers, and some tours. 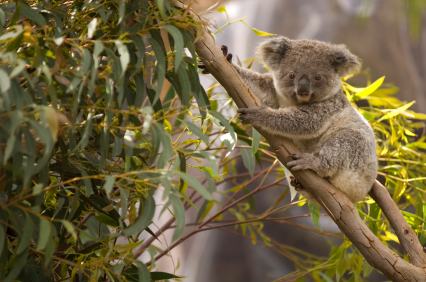 To help plan your trip after you land, visit Tourism Australia’s website.